What a feeling! All those miles covered, all those weather conditions battled and all those injuries overcome were finally rewarded on Sunday as our amazing runners completed their respective races at Bath Half 2019. This was the fifth year the charity had participated at the local event and our marathoners did not disappoint, making it our strongest performance to date. Our amazing runners filled our allocated 20 spaces for the full Marathon and all completed the 13.1 mile race whilst fundraising substantial funds for the charity to continue our work in local communities across the Bath and North East Somerset region. Additionally, we recorded our highest-ever turnout for the fun run with 90 family members in attendance to join in the fun and cover 3/4 miles alongside Sporting Family Change. 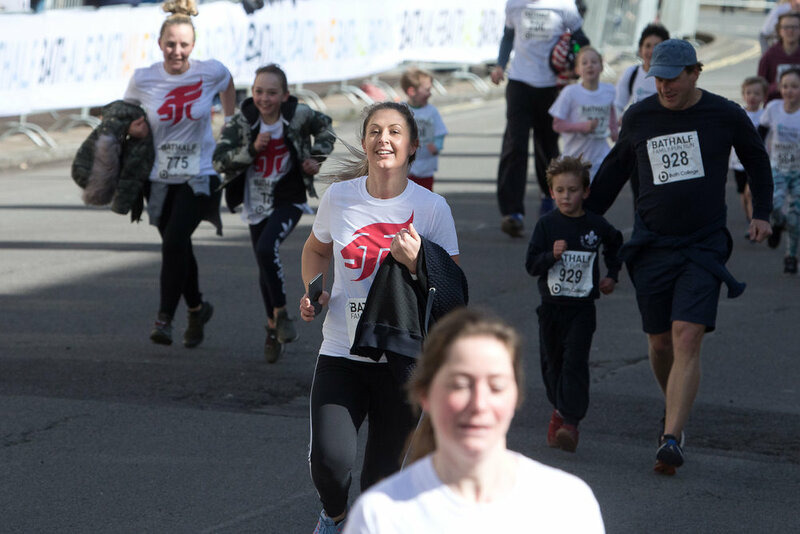 The day from start to finish was thoroughly enjoyable and a great success, with all our runners having their individual stories for running and battles which made the celebrations at the finishing line all the sweeter! It will take some effort to beat this year at Bath Half 2020 but for now lets rest-up and reflect on everyones success by watching the video below. Older PostSFC Feature on BBC News Ahead of Bath Half 2019!